Previously, Ms. Haller-Jorden held the position of Senior Vice President Global Learning Strategies at Catalyst, where she designed cutting-edge initiatives to promote organizational inclusion and innovation in diverse cultural contexts. 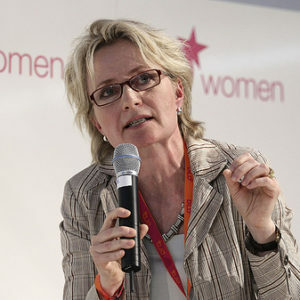 As General Manager of Catalyst Europe (CE) upon its founding in 2006, she worked with distinguished European corporate and academic members, as well as governments, to establish its reputation as an effective and agile strategic partner. Under her direction, CE launched a series of high-level events, including CE Regional Learning Hubs, CE Regional Symposia and the European roll-out of the Catalyst CEO Summit. Prior to Catalyst, Ms. Haller-Jorden founded an international consultancy noted for its research capabilities and programs in workplace design and cross-cultural management. She has held the positions of Officer at J.P. Morgan; Lead Partner at HNC Consulting; Executive Director at The Learning Labs; and Founder of the Public Policy Centre in Philadelphia (US). An early publication she co-authored for the U.S. Environmental Protection Agency was hailed as “a definitive source for innovative public participation practices tied to environmental planning projects”. Ms. Haller-Jorden is a frequent speaker and recognized voice in the international media. Apart from giving the keynote addresses at the most recent Diversity Best Practices European Summit and National Diversity Women’s Business Leadership Conference—and the Healthcare Businesswomen’s Association Annual Summit (2015), International Women’s Conference (Belfast, 2014) and European Commission International Women’s Day Conference (2014)—she was invited to speak at the Women’s Forum (Deauville, 2014) and Zurich-based chapter of TED. She has been interviewed for the New York Times, Asahi Shinbun, Wall Street Journal and Financial Times, as well as for CNN, a BBC Radio 4 live broadcast and FNN, as a commentator for “The New World of Work”. Ms. HallerJorden was featured in Profiles in Diversity Journal, Careerpreneurs (Lessons from Leading Women Entrepreneurs on Building a Career Without Boundaries) by Dorothy Perrin Moore, and Capitalizing on the Global Workforce by Michael S. Schell and Charlene Marmer Solomons. Her board appointments and strategic advisory roles are numerous. She is Strategic Advisor to EDGE Strategy AG, the 2017 Scholar-in-Residence at Emma Willard School and Executive-in-Residence at the Center for Women’s Entrepreneurial Leadership, Babson College. Other appointments include: UN Women National Committee Switzerland; Foundations for Learning, Executive Board; Milton Academy, Board of Trustees; Business & Human Rights Platform, Lausanne Business School, Advisory Board; Healthcare Businesswomen’s Association, European Board; EU Steering Scientific Committee, Seventh Framework Programme, Meta-analysis for Gender and Science Research; Academy of Business and Society and Öko-Institut’s Advisory Board for the IMPACT initiative; Tosca Group Future of Organisations Consortium, Advisory Board; and Bryn Mawr College, International Council. 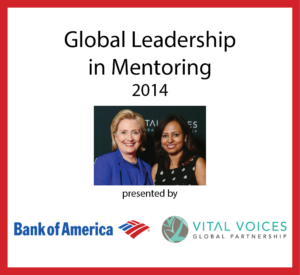 Ms. Haller-Jorden has been appointed to two initiatives founded by Hillary Clinton: the Vital Voices Global Partnership as a Global Ambassador, and the Women in Public Service Project as a faculty member during the 2013 Summer Institute Peacebuilding and Development. She has been named a European Thought Leader by the IBM Global Innovation Outlook initiative. In addition, she has acted as a jury member for both the Cisco Networking Academy’s European & Emerging Market Awards and the Opportunity Now 2014 and 2015 Awards. In April 2013, she was appointed Visiting Scholar at IMD Business School.